Imagine living in 1958, and knowing that the integrated circuit-the microchip-was about to be invented, and would revolutionize the world. Or imagine 1992, when the Internet was about to transform virtually every aspect of our lives. Incredibly, this book argues that we stand at such a moment right now-and not just in one field, but in many. A fascinating look at the leading edge of modern technology, 2030 brings together the most exciting work of more than two dozen world-renowned experts, addressing problems as varied as infectious disease, financial instability, and climate change. The ideas the authors describe are sometimes breathtakingly unexpected. One authority on chemical processes intends to radically decentralize and miniaturize operations now conducted by vast chemical plants. "Imagine a washing machine that could make its own detergent," he says, "or a computer that produces hydrogen to generate its own power." Miniaturization has already reached astonishing levels, such as microsensors and micropumps etched onto chips. The book reveals that medicine offers some of the most remarkable advances, such as nanocapsules that can be triggered remotely to release their medicinal payload. Along the way, the authors move beyond the various individual technologies to highlight the unexpected connections between fields, connections that may yield new insights into such disparate events as the financial crisis, the failure of micro-electronics, and the outbreak of a flu pandemic. 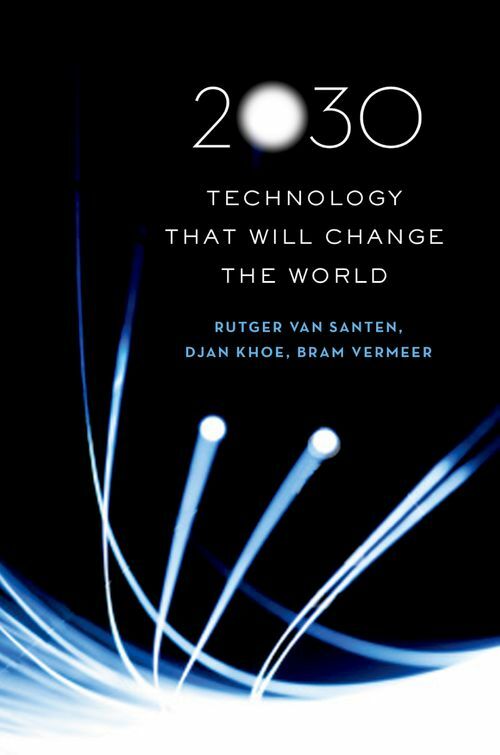 2030 ranges across the technological landscape, presenting the latest thinking by such authorities as Craig Venter, the decoder of the human genome, and Simon Haykin, an expert on wireless communication. Written in clear, jargon-free language by two scientists and an experienced science writer, this book offers an enthralling and authoritative look at the future. Rutger van Santen is on the Faculty of Chemistry of Eindhoven University of Technology. He was awarded the Spinoza Prize in 1997 for his contribution to science. Djan Khoe is Professor of Electro-Optical Communication at Eindhoven University of Technology. An award-winning researcher, he has been honored as a Fellow of both the Institute of Electronic and Electrical Engineering and the Optical Society of America. Bram Vermeer is a freelance science journalist who has been writing about technology for the newspapers and scientific journals for 25 years.